It was the end of a fun, but very long day. Not wanting to miss anything, our family had gotten up and out the door by 9AM. We hung out for a few hours at a fantastic children’s museum, played on a super cool playground, and even indulged in homemade ice cream. Now, as the tourist bus pulled into our stop, we willed our legs to walk the one block back to the hotel. 15 minutes later all three of us were snuggled together on the king-size bed with snacks, and a pile of our daughter’s favorite books. It was the perfect end to a busy day. It was nice to have a home base that was so.. nice. Of course, we have a few tricks up our sleeves. 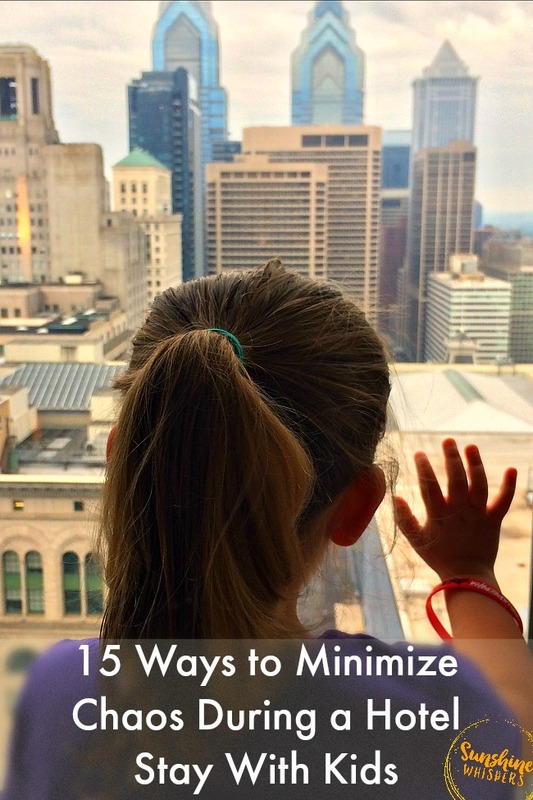 Let me tell you about our 15 ways to minimize chaos during a hotel stay with kids. Our stay at Loew’s Philadelphia Hotel was partially hosted. However, this review accurately reflects my truthful impression of our stay there. Additionally, affiliate links included for your convenience. It doesn’t matter whether you are planning a vacation to a big city, a more rural spot, or even Disney World. The #1 biggest way to minimize chaos on your vacation is to pick a place to stay that is located well. On our recent visit to Philadelphia, we stayed at the Loew’s Philadelphia Hotel. The location could not have been more perfect. We were literally one block from the food mecca, Reading Terminal Market. There was a drugstore less than a block away. For goodness sake, our hotel was right next to a series of mass transit stops, as well as the double-decker Big Bus Tours! That meant that we could easily grab something to eat, bring food back to the hotel if needed, and grab medicine, toiletries, etc.. if we forgot something. Picking a hotel that is located in a good spot will save you tons of grief. 2. Invest in a fold-able travel cot. I really like this one. It is the Regalo My Cot Portable Bed . We have used this travel cot with our daughter since she was barely 2 years old (she is now almost 4 years old) and it has never failed us. The cot is comfy, light, folds easily, and is long enough to accommodate growing preschooler legs. When you first enter your room, try to find the darkest, quietest corner. Put the cot there. During our Philadelphia trip, we put the cot literally right in front of the door. It worked because that was the part of the room with the least amount of distractions. Set up the cot first thing, and then make your kid’s bed. Pillow, blankets (bring one blanket from home), and stuffed animals. This way they can relax a little. Chances are they will be a little excited by the fact you are traveling. 3. Ask for a room with a bathtub. Believe it or not, if you don’t ask for a room with a bathtub, there is a good chance you won’t get one. Most hotels have plenty of rooms with bathtubs but the bathtub is also considered a quasi (or sometimes not so quasi) upgrade. So, just ask for it. Then, you have a way to easily bathe your kids, and a way to entertain them if need be. 4. Ask for a room at least a few floors above street level. While you are in the asking mood, request a room on a higher floor (within reason– no need to pay for a premium room). Higher floors typically mean less noise and less light pollution. That means your young children will be more likely to drift off to sleep easier. Another bonus of a higher floor? The view! If your room has a great view, your kids will love looking out the window and playing ‘I Spy!’ Finally, if you want more detailed room recommendations, type your hotel name into www.tripadvisor.com. I did this and found out the best rooms at the Loew’s Philadelphia Hotel were above the 18th floor and on the odd-numbered side of the hotel. We ended up on the 25th floor and our view was amazing! Does your hotel have a pool? Then, this is a no-brainer. Even if they don’t, if your vacation is during the summer months, bring it anyway. You never know when you will have the chance to splash in a fountain or other public splash area. 6. Sinks in hotels can be quite high. Maybe pack a collapsible stool? Ok, I am going to give you my personal editorial as a short person. 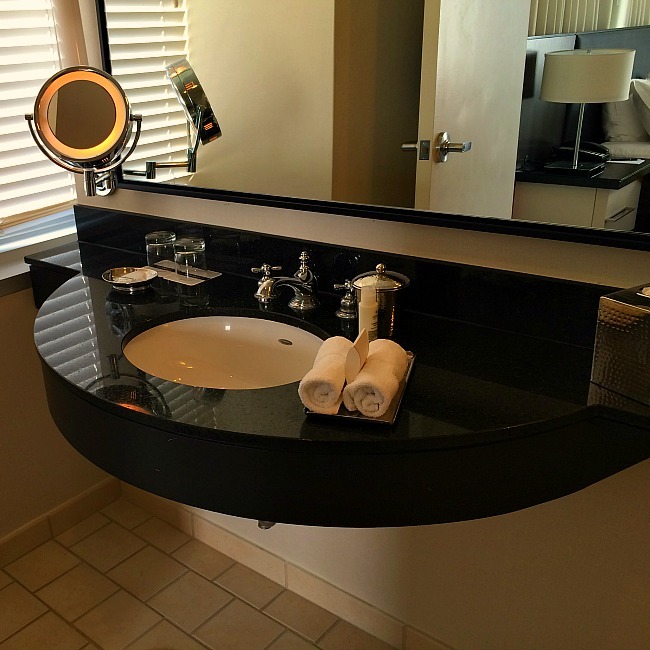 Sinks in most hotels are entirely too high. Goodness, I need a step stool most of the time. Unless you want to lift your kid every time they need to wash their hands, maybe stash a collapsible foot stool in one of your suitcases. 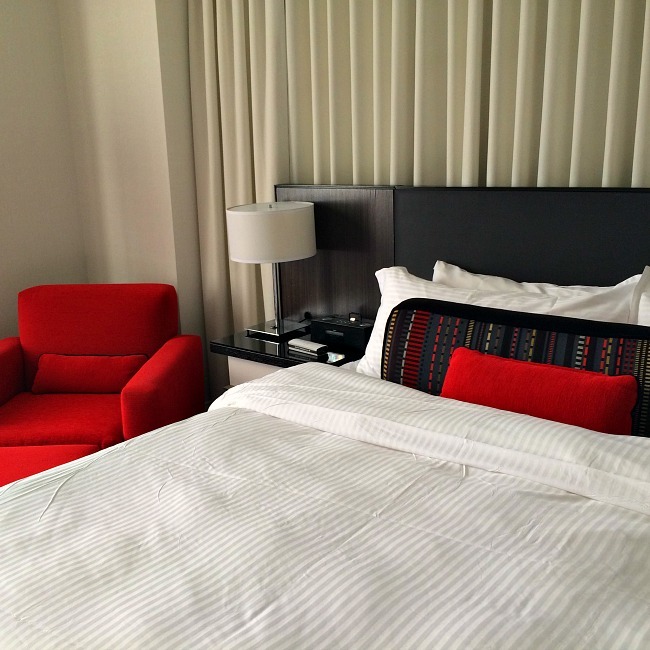 If your hotel room is a suite, good for you. Of course, those rooms tend to be much more expensive. You will likely be in a one-room hotel room. Unless you plan to go to bed when your kids do (for us that is 8pm), bring a reading lamp or small table night light lamp. That way you can read a book or something and your kid will still get a good night’s sleep. 8. Ask about amenities for kids. Many hotels have kid-friendly amenities. The Loew’s Philadelphia Hotel provides an activity book and set of crayons to kids who stay with them. Additionally, many hotels have a stash of extras. Our hotel made available upon request toys, books, car seats, toilet seats, night-lights, strollers, and DVD players stocked with kid’s movies. How cool is that? 9. Ask for extra pillow and blankets. Most hotels are more than happy to give you extra pillows, blankets, towels, etc… Why should you ask? They might help you create a space for your kids. Also, why not use them to make a kid’s pillow fort in the hotel room? 10. Put a towel or nighttime pad down wherever your preschooler sleeps. If your child has only been fully potty trained for a little bit, put a nighttime waterproof pad or even just a towel down on their sleeping surface. The newness of this unfamiliar setting will mean they are more likely to wet their bed. Be prepared… or be prepared to do laundry. 11. Don’t be afraid of room service or the hotel restaurant. Room service was an even greater sanity saver. By the middle of our mini-vacation, we realized that our 3-year old was wayyy too excited to eat much of anything when we went out for breakfast. That led to a mid-morning sugar crash, whining, temper tantrums.. you get the idea. 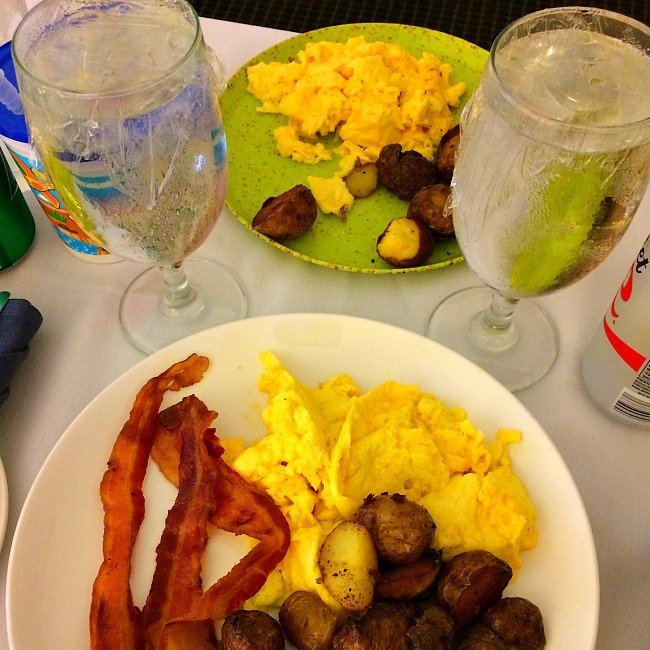 So, one morning we just ordered a basic breakfast for room service. It was such a nice treat (and not terribly expensive either). The best part though was the relatively calm and controlled environment. It was quiet in the hotel room. The hotel room was a know commodity so there were less distractions. Our 3-year old actually ate something with protein in it. Score! Depending on where your travels take you, it is very possible your hotel with have a complimentary breakfast. I love that option! However, I have found it is very location dependent. Many urban travel destinations will not offer breakfast free of charge. Most hotels offer room service dining though! 12. 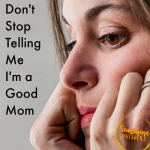 Try to give your kids their own space. This is why you want to set up their sleeping area as soon as possible. This gives them a place to crash that is all their own. Granted, there is still a strong possibility they will want to be in your lap the entire time. But they may also want to just sit and look at a book or something as well. Having their own space gives them the illusion of control. 13. Familiar items (books, a few toys). I wouldn’t go overboard on this tip, but I would bring something. On our last trip we brought a favorite stuffed animal (Minnie Mouse), a favorite blanket, a few books they love, and one small bag of toys. We drove to Philadelphia. If you are flying you will want to combine airplane toys with hotel toys. Having a few familiar items will give your kids something to play with while you are getting ready or taking care of other business. Don’t go overboard though because you will likely not spend as much time in the hotel room as you think you will. 14. Not the time to be stingy with screen time. Speaking of familiar items, you may want to relax your screen time rules while on travel. When we travel as a family, we tend to go all out during the day and return to the hotel completely exhausted. 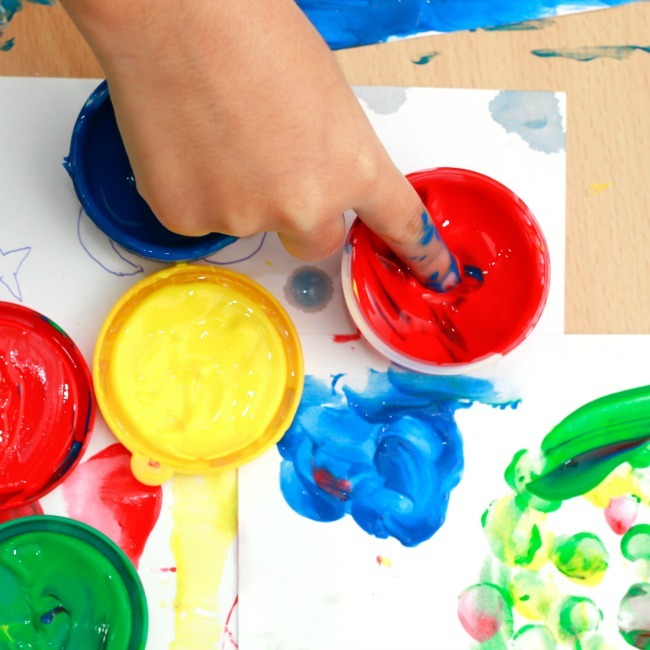 Chances are your young children will be exhausted and overstimulated. Their feet may hurt. They may just need something easy to do for the rest of the evening. Or maybe you want them to calm down before bed. The iPad was fantastic for this (we also use it in other situations too). Granted, our daughter doesn’t get to play on the iPad very often, but after a long day it was great to let her zone out a little bit. It was also nice to bring along a portable DVD player and a few Disney movies (we just used the one we use for long road trips). Between kid-friendly movies and games on the iPad, we were able to stave off many a meltdown. 15. 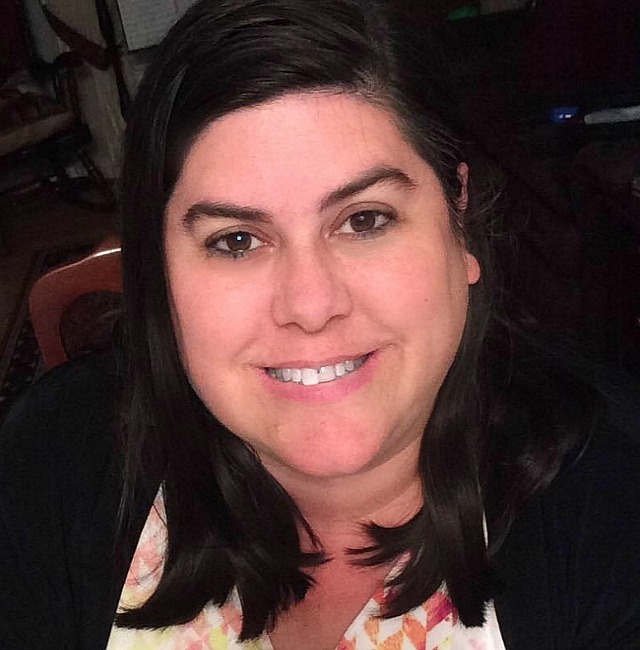 Utilize the concierge or hotel clerk. If your hotel has a concierge service, you are in luck. If not, the front desk staff can likely help you out. Ask the hotel staff for activity and restaurant recommendations, tips on local events, and other fun insider secrets concerning your travel destination. Also, hotel staff will usually have nice tourist maps and even coupons for area businesses. If you are planning a visit to Philadelphia with your family, you can hardly do better than the Loew’s Philadelphia Hotel. This great hotel is situated smack dab in the center of Philadelphia, just one block from Reading Terminal Market and a popular stop for the Big Bus Double Decker Tours. The hotel rooms and beds are very comfortable. There is free Wi-Fi throughout the hotel (up to three devices) and the in-room TV gives families access to Nickelodeon and Disney. Bank & Bourbon, the hotel’s restaurant, offers great kid-friendly meals like hot dogs, cheeseburgers, etc.. The prices are not bad at all (about $3.50-$4 per meal). The menu options for Mom and Dad are on par with a nice date night restaurant. 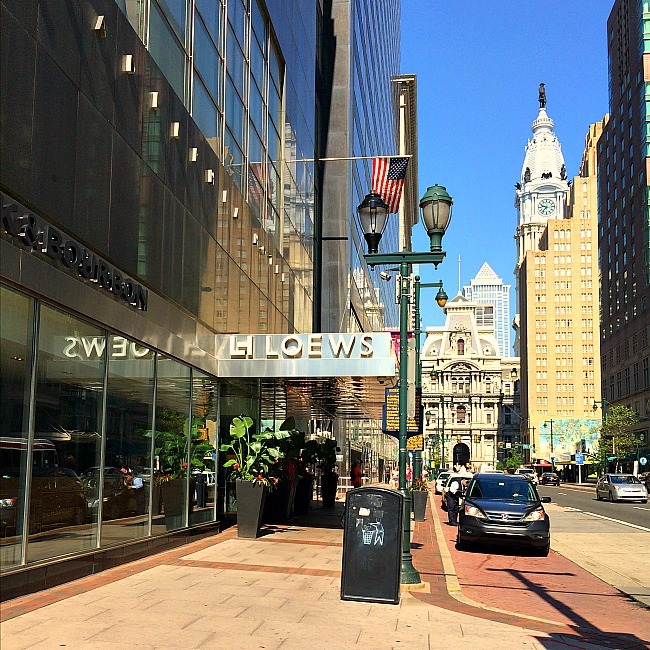 Our family had a very comfortable stay at Loew’s Philadelphia Hotel and I am convinced that staying here really enabled us to have a blast exploring the great city of Philadelphia. If you are planning a family trip to Philadelphia, you should definitely check them out! 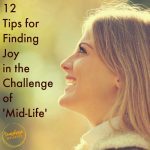 Love your valuable and insightful blog….good even if you are in your 70s and don’t have children or grandchildren to care for.